Instability in the ulnar carpal wrist may present with pain, swelling, and tenderness in the ulnar aspect of the wrist. Instability due to weakened or rupture ligaments, can occur between the ulna and the carpus, the lunate-triquetral joint, and/or the triquetrohamate joint. 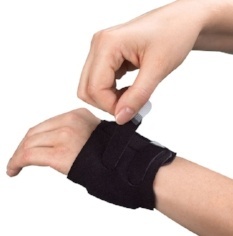 The following describes a few important assessments to assist clinical evaluation of ulnar sided wrist pain when the symptoms are suspected to be related to ulnar carpal instability.